Okay, just gonna put this out there. This is amazing. 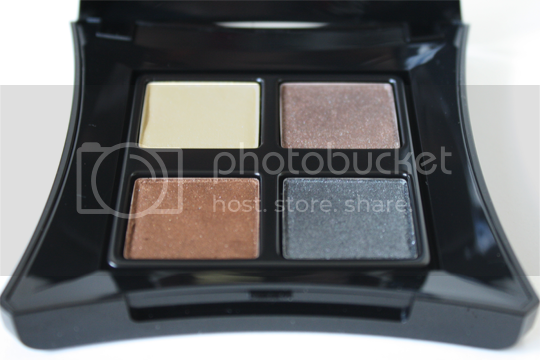 It is, of course, the Illamasqua Reflection Palette*, from this season’s Sacred Hour collection. Now, when last season’s Paranormal collection was launched I was pretty enamoured with the Paranomal Palette but I did find myself wishing that Illamasqua would release a palette of more neutral shades in the same great formula. Et voila, this is it! If you were intrigued by the ultra-waterproof cream to powder texture of the Paranormal palette but baulked at the bright colours, you seriously need to try out the Reflection palette. I am obsessed. That same beautifully bouncy texture that I fell in love with, but in a selection of colours that’s much more suited to everyday and will flatter absolutely anybody. Although the colours are neutral, they’re not your standard, run-of-the-mill neutrals (obviously! This is Illamasqua we’re talking about after all). 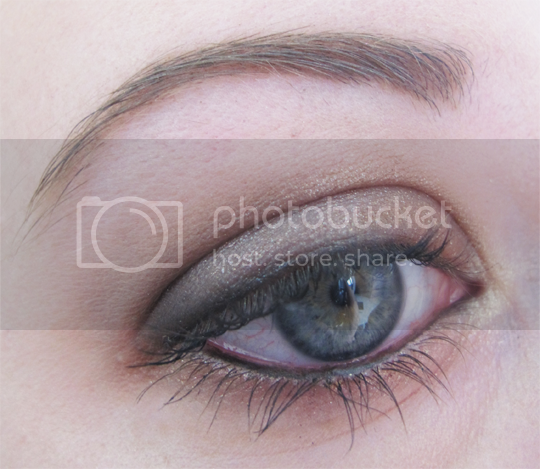 There’s a depth of shimmer to these that really comes out on the eye, and they just look different. I think my personal favourite is Acute, the ashy taupe shade. 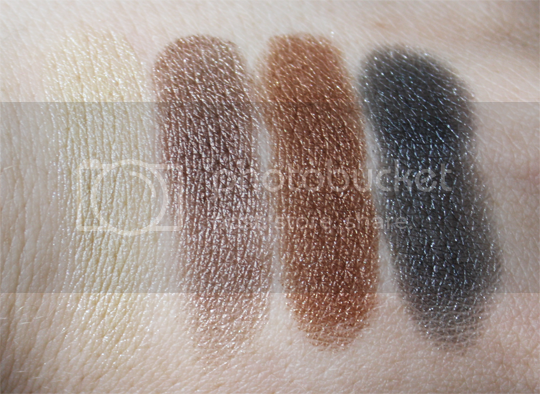 I’ve said it before about the Paranormal palette, but if you haven’t experienced the texture of these shadows you really need to hotfoot it down to your nearest counter and give them a swatch. Just do it, trust me! Another thing worth reiterating is that you’ll probably have trouble trying to apply and blend these with brushes, you’ll pick up way too much product and they can come out quite patchy if you do. Just a bit of light application and blending with your fingers is all you need to get the most out of these unusual shadows, which of course also means less brushes that need washing – score! They also last well, although you may experience some creasing if you skip using a good primer. Start with a touch of UDPP or similar to keep them looking fresh all day. In the eye look above I’ve used Acute on the inner half of the eyelid, Dart on the outer half, Acute on the lower lashline, Precipice in the inner corner and Graphica as a smudgey liner (I did use a brush for that!). The entire Sacred Hour collection is out now online, on counters and in standalone stores nationwide. I think there’s another week or so before they’re released on counters throughout the rest of the world. The Reflection Palette will set you back £34, which I would happily pay for something so unusual but actually usable. Payday is just around the corner! 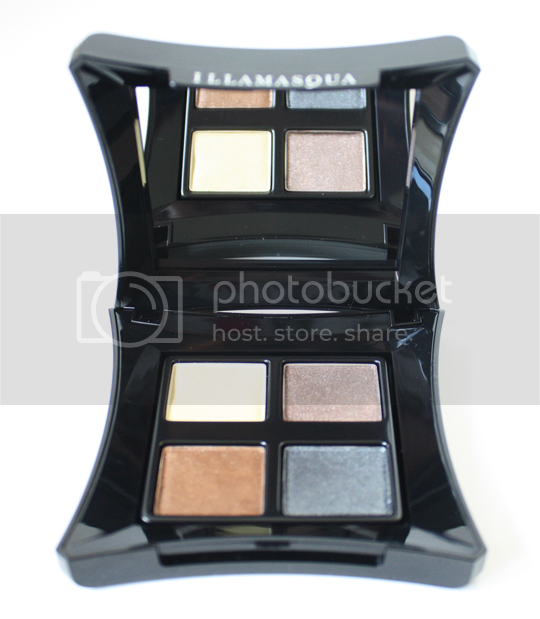 Is the Illamasqua Reflection Palette tempting you? 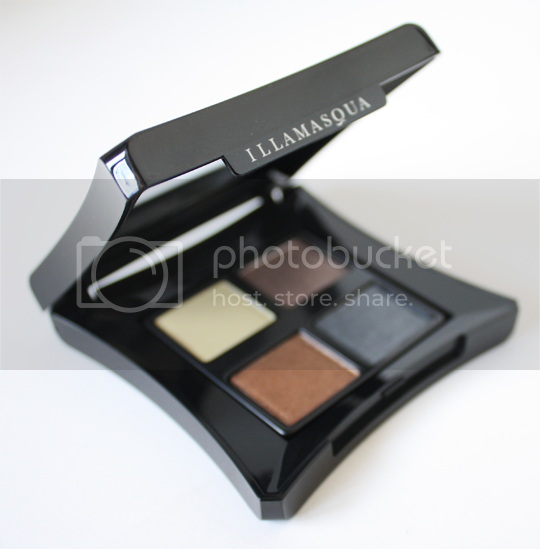 Oh dear, my bank balance weeps, but I can’t say how much I enjoy the illamasqua eyeshadow formula!